Our company provides affordable microwave repair and maintenance services in Jersey City, New Jersey.No matter what kind of issue you’re having, we can take care of it in a matter of hours. With years of hands-on experience in the business, our microwave repair Jersey City team can quickly diagnose the problem and fix it right on the spot. We use genuine repair parts only and have the right tools to perform fast and dependable service whenever you need it. At Appliance Repair Jersey City, we specialize in fixing all types of microwave ovens. Whether your microwave is not heating properly, making unusual noise, sparkling or simply won’t turn on, contact us to schedule an appointment with one of our technicians. After a thorough diagnosis, we will determinate the source of the problem and solve it to you full satisfaction. We have the skills and qualification needed to get your microwave back up and running just like new in no time. Not only do we perform microwave repairs in Jersey City but we’re also experts in installing new appliances. If you need to fit a new unit and make sure the installation process is done correctly, we are the right team to call. Our technicians have the experience and knowledge to set things right the first time. By hiring us for preventive maintenance, you will be able to significantly reduce the possibility of unexpected breakages and prolong the life of your microwave oven. Our microwave service experts will make the necessary adjustments and parts replacement to keep your appliance fully-operational at all times. 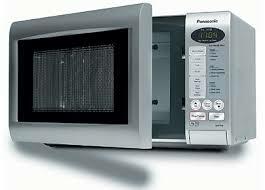 When you microwave starts acting up, don’t put the repair off and contact us right away. We will help you resolve any concern you may have in a timely and efficient manner.